But what about the social side of language learning? In the private language school where I currently work, adult learners jump at the opportunity to do things in addition to their classes e.g. Reading Group, where they read and discuss a given graded reader periodically, and PSP speaking (an hour of mixed-level English conversation) or English-speaking Thursday nights at the pub. Who do they attend with? For the latter two, it is open to any level, and learners often sign up to join with, or in the case of the pub, just turn up with, other members of their class. Their language classes are not only about language learning – though clearly this is key! – but also 2 hours and 40 mins to 4 hrs a week (depending on their course intensity) doing something with a group of friends, some of whom have been met in previous courses at the school, some of whom are classmates (for YL, teens, university students), with new friends made each course too, as new learners join, others leave and so the classes evolve. They enjoy being in each other’s company twice or three times a week, in the classroom, learning English together. Perhaps it should be no surprise: after all language evolved because humans are social creatures. The benefits of this in terms of language learning are, of course, the pair – and group – work potential that is there to be mined, the collaboration, the opportunities to learn from one another, for a start. Young learners, meanwhile, learn a lot more than language when in the classroom – they learn social skills, cognitive skills, motor skills and so on. And they have fun, too! Would they be there if their language learning at school were super effective? I’m not sure. But I do know that we don’t only have kids in need of remedial help in our YL classes. We have a mixture of brilliant kids/teens, average kids/teens and kids/teens who do need lots of extra help. To me this suggests that they don’t only attend because school language learning isn’t good enough. Some of them love English and learning, some of them doubtless are there because their parents think it is a Good Thing. The latter may start classes because of that and discover that they love learning too. Perhaps for people who are learning English purely to get ahead in their job, David’s vision is a possible futuristic avenue. (Though I question if after working all day using a computer, as many might, they’d want their language learning to be purely computerised too?) Either way, for people who learn as a hobby, or as part of a holiday, or who combine it with socialising outside of work/school, for whom English is important but who want to use it to speak to people face to face (or on the phone! ), technology is better off in a more ancillary role. For me, the future of language learning still involves groups of people coming together to use and explore language. And the delicate in some ways, robust in others, ecosystem of the classroom, that “small culture” (Holliday, 1999), is part of this. The language school is another small culture, within which that classroom culture operates and by which it is influenced, as is the university language teaching centre, or the primary or secondary school and the languages department within it. Does this make me a technophobe? Insecure about my future as a teacher? I hope not. I just think there is room for all. And perhaps technology, as used in David’s case study, will make language learning accessible to *additional* learners and become an additional option, rather than becoming a replacement. 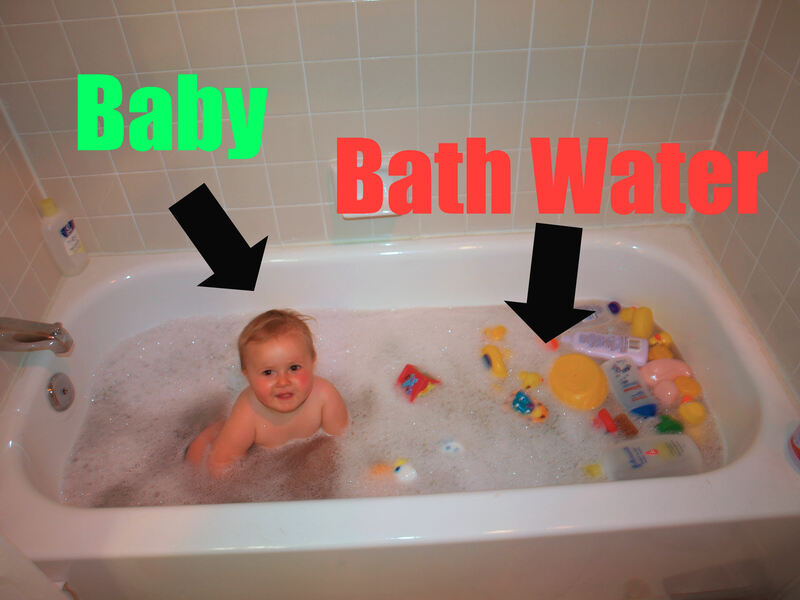 I think that as far as technology is concerned, as with language teaching and learning methodology, there’s no need to throw the baby out with the bathwater, as Michael Swan would say. I think we should build on what we have rather than lopping off entire aspects of it. Holliday, A. (1999) Small Cultures in Applied Linguistics vol. 20/2 pp. 237-264. Oxford University Press. Oxford. This entry was posted in ELT Debates, Reflections on teaching and learning and tagged culture, edtech, methodology, pedagogy, reflection, technology. Bookmark the permalink. Spot on – techno-freaks, tech companies and think tanks pushing a libertarian agenda – the propagandists of the e-llusion – have been announcing the end of teachers and classrooms ever since I started working in the language learning business over 35 years ago. It began with tapes and language labs in the 70s, CALL in the 80s, cd roms, multimedia and resource centers in the 90s, e-learning in the 2000s and mobile learning, education 2.0 and 3.0 and social learning today. Huge amounts of investment have been poured into this hyped agenda, most of it with pitiful results, though a few fortunes have been made. The date when this classroomless revolution is supposed to happen keeps getting pushed back year after year. The only real change has been the emergence of distance learning with the telephone and skype – in a nutshell the return of the teacher and of live interaction with learners at distance. Today distance learning with teachers has taken 10 to 15% of the private market share, but self access learning has barely made a blip in terms of success, despite its ubiquitous presence. Technonology is great to provide interactive back up to live learning as an alternative to books, as well as an immersive rich audio-visual universe to provide practice and exposure to the target language, but only a tiny minority of learners are dedicated and resourceful enough to learn through technology alone. And as you have pointed out, many learners want only one thing when they get home from their connected jobs – to get away from computer screens at any cost. And there is another elephant in the room – the gurus are living in a techno-positivist bubble in which resources are limitless and technology ends up solving all our problems. But the world is facing a series of momentuous challenges – by the 2030s, basic resources such as water, energy to provide cheap electricity, metals, including the rare minerals required to build smartphones and ipads, will be either in short supply or much more expensive. Climate change and pollution of the biosphere, together with over-population and the likely conflicts that will ensue to capture the remaining resources, could prick the unsustainable techno bubble. Pull the electric plug and the entire technosphere and its connected communities goes out like a light. Increase the cost and only the privileged few will have access. We are becoming so hypnotised by the virtual universe we’re forgetting that we live in a real world with limited resources and a rapidly deteriorating environment. If we dont take heed of this, the waking up will not be a great experience. This is because, as you so rightly say in your title, Lizzie, I think, learning tends to be social and people need to communicate. This is why, when some friends and I recently set up a book club in Verona, and I mentioned it on Facebook, there was an immediate call for a group on Facebook where others could read the books and take part too, even if they couldn’t physically come to our meetings, or even as an added support if they could. This is technology and the Internet at its social best where people support and create learning rather than the bleak predictions for 2034 where learners are left to their own devices with no support or interaction. At the moment social learning sites such as http://fixoodle.com are doing well precisely because people meet up on them and help each other to build their knowledge of language together. I personally have some learners who have been coming to class for more than fifteen years, and the English is only part of the motivation. They are now very class friends and also go on holiday together and meet to play cards. This is what happens when Holliday’s classroom “small culture” becomes a real “small community”, and what happens in that community is meaningful and socially constructed. A far cry from the $400 dollar online course, and the sad vision of mediators scrabbling for as many students as they can in call centre mode. The day education is reduced to this is the day that I’ll leave it. This corresponds exactly to my own experience Hartle – one thing I would add : so far the risk capital-funded online social learning communities that have sprung up all over the web (LiveMocha, Busuu, Babbel, WyQiz, etc…) and say they are putting into practice an innovative approach to collaborative learning have yet to prove themselves both as viable business models and as effective, sustainable learning tools. Much buzz, plenty of “subscribers” (although these figures are often inflated), but I have yet to see an online forum in which real unmediated collaborative learning takes place (not just quick fixes and corrections) or a site that is actually making money (conversion rates from free to premium accounts are very low and few of these sites publish their financials). Some of the largest are now either being bought by major e-learning organisations (LiveMocha was recently acquired by Rosetta Stone) or are partnering with them (Busuu with Pearson). WyQiz is today represented by a motivational ambassador who travels all over the world getting students in classrooms enthused with his hip-hop approach to learning and is promoting what is in effect a blended learning formula : a mix of classroom and online learning. I think that’s the future for educational technology : the pure stand-alone self-access model has been tried again and again in the past and has been mostly disappointing. BTW Fixoodle looks like a carbon replica of Duolingua – is that intended?